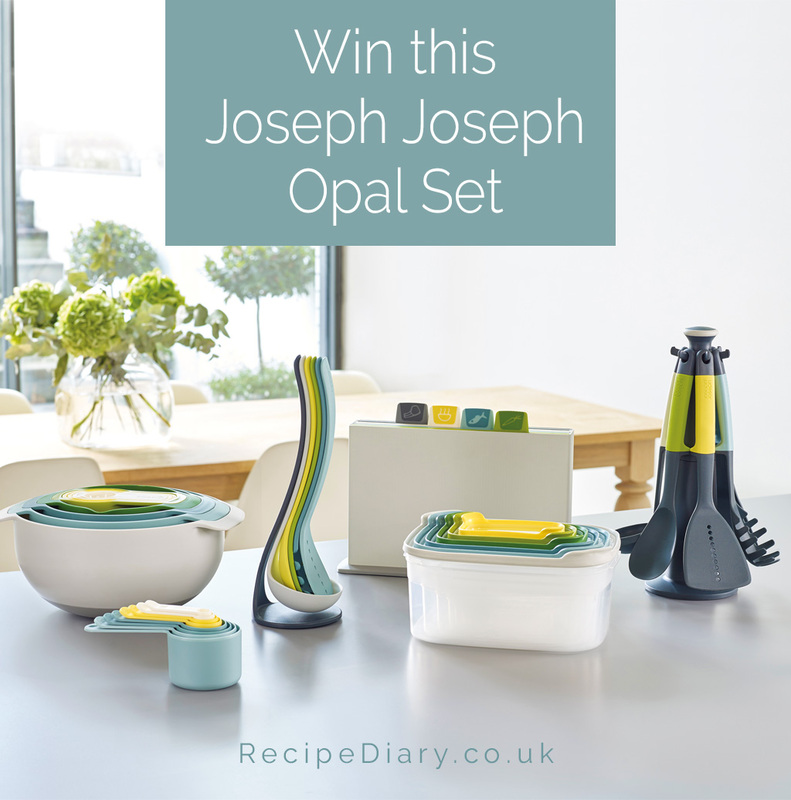 Recipe Diary gives you the chance to win this amazing Joseph Joseph Opal set worth £230. To enter simply tell us which is your favourite Recipe Diary cover. You can find the answer on our website. The last date for entries is 30 November 2018. Don't forget to order your 2018 Recipe Diary. 1. Only one entry per prize draw/competition, per reader. 2. All prizes are subject to availability, and Eaglemoss reserves the right to replace the prize with an alternative product or colour of equal or higher value if necessary at the promoters' discretion. 4. Prize draws and competitions are only open to UK residents aged 18 years or over. 5. Employees (and their families), their agents or related third parties who are directly connected with the administration of these online magazine promotions are not eligible to enter. 6. Winner(s) will be selected at random after the closing date by an independent judge from all entries received. The judge's decision is final and no correspondence will be entered into. 7. Winner(s) will be notified by email or telephone (using the details provided at entry) within 14 days of the closing date. Following such notification, the winner will be required to send the Promoter full details of their postal address to which the Prize will be delivered (if applicable). 8. If the Promoter cannot: (i) contact the winner (via the details provided at the date of entry) within a reasonable period of time (to be established at the Promoter's sole discretion); or (ii) the winner does not return details of its postal address to the Promoter within 14 days of notification that they have won the Prize, the Promoter reserves the right to re-draw a winner of the Promotion and thereafter until a winner on these terms is found. 9. Please allow 28 days for delivery of the Prize. The Promoter accepts no responsibility for the Prize being lost, damaged or delayed in the post. 10. By entering any of the Eaglemoss online prize draws and competitions you agree to have your name published online in the Dairy Diary website, blog and newsletter. 11. By entering any of the Eaglemoss online prize draws and competitions you agree to opt into our newsletter/s. Each newsletter has instructions on how to un-subscribe should you wish to do so at any point. 12. Unless otherwise stated, the promoter is Eaglemoss, Electra House, Crewe Business Park, Cheshire, CW1 6GL. Eaglemoss is part of Eaglemoss Ltd. A list of winners will be available six weeks after the closing date by sending an SAE to The Dairy Diary Prize Draws and Competitions at the above address. 13. Click here for our Privacy Statement. 14. Automated/bulk entries and entries from third parties are not permitted.